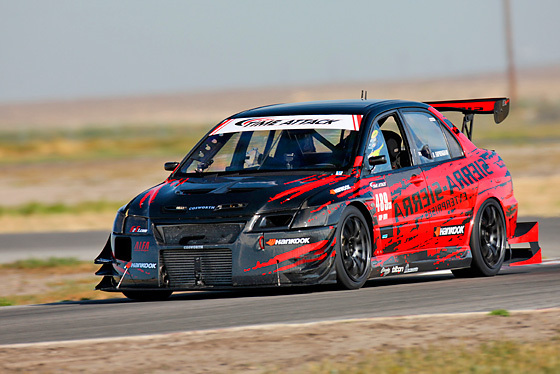 The first Super Lap Time Attack event in the US was way back in 2004 at Buttonwillow raceway. I wasn’t there, but if you were to track down an old guy like John Naderi and get him liquored up I’m sure he would tell you all about it. 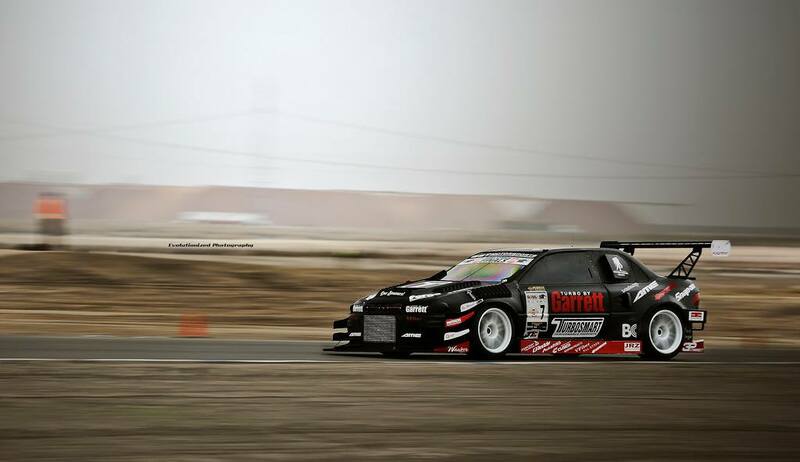 Since then Buttonwillow has been the benchmark for fast time attack cars in the US. Sometimes I wonder what would have happened to time attack if they had picked a different track. Something not in the middle of nowhere, with better facilities and nearby hotels and entertainment (spring mountain?). Would we have something more like WTAC by now or would RTA have imploded earlier and set things farther back. Maybe the cheap track rentals and $40 motel 6 rooms help keep things accessible. 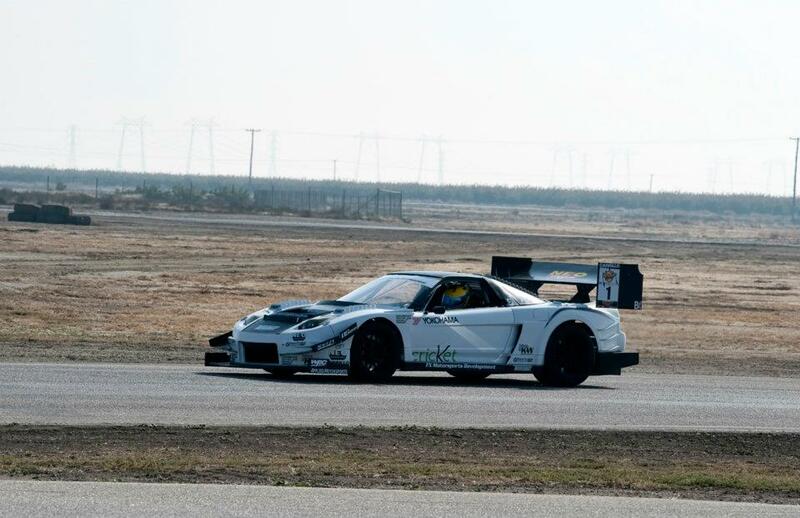 It’s not Eastern Creek or Tsukuba, but Buttonwillow is what we have. Ok back to that first Superlap in 2004. The Sun Auto Cyber Evo was there with Tarzan driving, and crushed the competition with a time of 1:48.906. The next fastest time was 1:54.2 (also by Tarzan, he was driving a bunch of cars that day). …a Chevy Cobalt. It also happens to be the only year a FWD car won SLB, and they held the fwd record until 2009. And oh boy, did they put down a time. The 1:43.523 won the event by 5 full seconds and reset the record by about the same. There are still only a handful of cars to have gone faster. 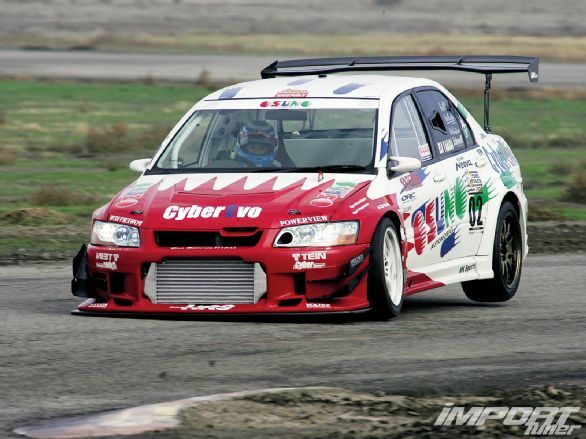 So that made two Evos that had come over from Japan to show America how to do time attack. Some familiar teams were at that one, like FXMD, GST, and AMS, and some guys from Sierra Sierra were in attendance as well. This was probably where the American time attack arms race really got started. 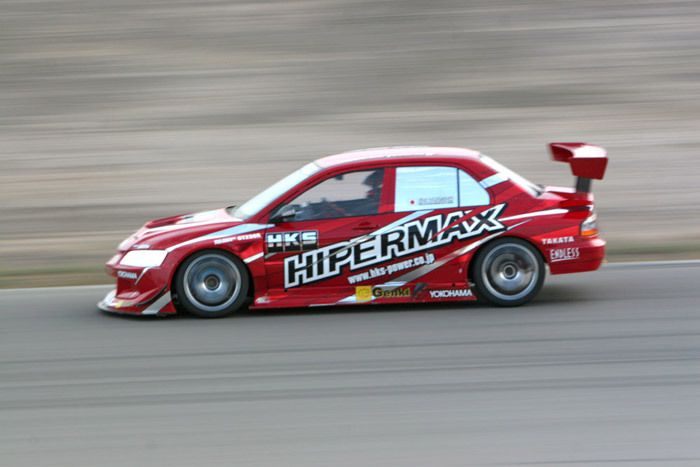 In 2008, the Voltex Cusco Subaru went 1:44.3; not a new record, but another big Japanese team took the win. 2009 was the year that the FX NSX really got fast and started setting other records, like the one at Big Willow which still stands. It was also the Superlap debut of the Sierra Sierra Evo. It was a close fight, with SSE edging out FX by under 0.2 seconds, but the 1:45s were not record material. Then both teams got serious. More power, bigger wings, and the stage was set for a rematch in 2010 and probably a new record. SSE’s first shot was at the Redline time attack event the next March. They ran right around or maybe a bit faster than the time during morning practice, but when the official clocks were running could only manage a 1:44.3. A few weeks later they released a video of them breaking the record in testing. So it was probably going to happen officially come November. Meanwhile, FX had enlisted Andrew Brilliant to redesign the aero and threw on a massive turbocharger which put down about 850rwhp. First thing in the morning at Superlap 2010, SSE did it with a 1:41.046. FX also beat the old record with a 1:41.9, and then blew up right at the end of a possibly faster lap. Second to SSE again, but at least the US had the record after so many years. 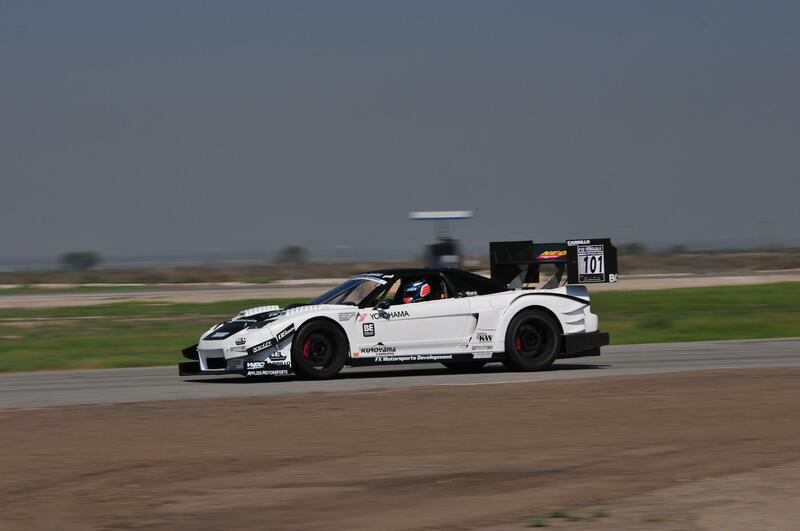 For 2011, SSE headed to WTAC and placed 2nd to the Cyber Evo, while FX was back at Buttonwillow and just barely edged out the old record with a new gigantic wing. The next year FXMD went faster again with a 1:40.389, pretty much the same car but with usual driver Billy Johnson behind the wheel. And here is where the controversy starts. During that final 2012 hot lap by Billy, there was some traffic. Normally, traffic is a part of time attack. Drivers and teams are responsible for getting themselves a clean lap during the session, and cars are released from the grid in order of speed in order to try to help with this. If you get out there late or aren’t paying attention to other traffic when you start a hot lap it’s your problem. Of course, other drivers on a cool down or warm up need to be aware and stay out of the way but there is only so much you can do. In this case, though, a crew member not authorized to be on track was out taking a car for a spin and got in the way right at the exit to riverside. It probably didn’t slow Billy down all that much, but they were going for a 1:39 and it didn’t happen. So there were some disagreements with GTA/SLB and FX took their ball and went home, and did not come back the next year. Instead they went to a different event in December, Extreme Speed time attack, which was one of the new organizations trying to fill the void left by Redline. I’m not sure they had many more than that one event. Anyhow, they were at buttonwillow at a time attack and turned some laps. They probably had pretty clear track, but it was a real event with rules and timing and other cars and I even have the results. Moving on, FX had made some changes to the car, namely improvements to the aero such as a more efficient dual element rear wing. They also streamlined the front end and underbody a bit to reduce drag. Even with 1000hp too much drag in the high speed sections will hurt lap times- just look at how close the HKS GTR was to Lyfe at the speed ring event. The result was they went faster. A lot faster, with a 1:37.520. 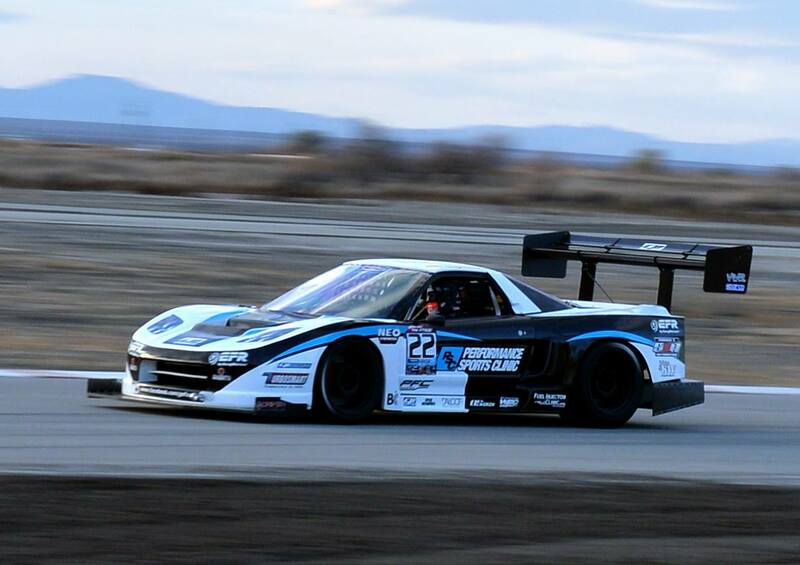 That is currently the fastest time attack lap around Buttonwillow, but I am going to give out a consolation prize: GST Motorsports brought the L to Superlap 2014 and Jeff Westphal drove it around the track in 1:38.967. If you go onto the GTA website or read a super street article that’s the overall record. So there you have it, all of the overall records at Buttonwillow. In 2015 Cody Kishel won overall in his Corvette, a car that was banned in the original superlap rules, and then this year Mark Jager won in his Yimisport Subaru. 1:41.9 and 1:41.3 respectively. Mark’s car has picked up speed drastically over the past few years and went from Street to Unlimited, hopefully we’ll see him closer to the record next year. FXMD is sort of retired from time attack so it’s unclear we’ll see the NSX out again. The GST L is still kicking around, so they could potentially reset their record in the near future. Another big contender is the Lyfe Motorsports GTR, which went 1:40.4 in 2014, and then made big changes to go race WTAC. In current form they would likely be a good amount faster but were mysteriously absent from SLB 2016 The Professional Awesome EVO and UMS Tuning are two of the other teams currently at the pointy end of Unlimited class and I expect we will continue to see better times from them. The new FWD record is also faster than that HKS time so it will be interesting to see how that record progresses. Definitely looking forward to next season. Now we just need another one of those fast overseas cars to come over here. With the way times have dropped at WTAC I’m starting to feel like even our fastest time attack cars are a bit behind. nice write up. and to think i’ve been around since the beginning of it all… i’m getting freaking old. lol. but i’m finally getting serious about building a car so my 1995 EG2 Honda del Sol will be aiming to take down the Street FWD record currently owned by Chris B. ‘s 600+ whp Turbo EK Coupe from Canada. 1:52’s… boy street tires sure have gotten fast in the last 4 years. I think it should be said that FXMD did not “take their ball home” due to the on-track incident with Chris Rado’s “F-Wing” (who is a fellow competitor, owns GTA, and allowed his unregistered mechanic on track during the last timed session which impeded FXMD’s only lap of the event), but rather it was the context of the issue and GTA’s arrogant, hostile response without having any remorse, is what turned FXMD away. *It also wasn’t FXMD’s “final hot lap” but rather their “ONLY hot lap” of the entire event. The real story of the 2012 SLB was the FXMD Team’s never give up drive and determination, which has been a key to their success and many track records. After a motor failure Saturday afternoon, they could have given up, and most teams do, but that’s not FXMD. These guys packed up and drove 8+ hours back to the shop in NorCal to pull the motor (which isn’t an easy task in an NSX) and built a new motor from scratch over a sleepless night. After driving another 8+ hours back to Buttonwillow, the team arrived in the afternoon to the applause of a big crowd, eager to see the car run and set a lap record. Due to a continued over-boosting issue, the FXMD guys were willing to risk another motor in attempt to break the record on a 1-lap ‘Hail-Mary’. The GTA guys were fully aware of the FXMD Team’s situation and were assured that the NSX would hit the track in the last 5 minutes of the last timed session of the event, to give them the most time to get their ducks in a row to give them the best shot at having the engine hold together. (These guys have set over 5 records on a 1-lap Hail-Mary over the years). The NSX pulled out of the garage and onto a mostly empty track in the last official timed session of the day. Their driver Billy easily found a gap large enough to give him a clear lap, however an unauthorized/unregistered mechanic was taking Chris Rado’s infamous “F-Wing” out for a joy ride at a speed that was more in line with a beginner HPDE run group, and probably unsafe in a timed competition session. FXMD spent over $40K on engines, transportation, labor, etc… and 48-hours straight of sleepless hard work to attend this non-professional GTA event in attempts to break a record, which would have been good for everyone. There’s virtually no prize money and FXMD isn’t a race shop that financially benefits from publicity. It wasn’t the on-track actions that was the problem (which probably prevented them from being the first car to break the 1:40 barrier), but rather GTA’s complete lack of remorse and hostile defending of their actions in “their sandbox” which turned the FXMD team off of GTA events. A simple apology or acknowledgement of an oversight on their part probably would have seen FXMD return year after year.